Brighton Ford : Use The 2013 Ford Escape Tuning Playlist To Test Your Own Car Stereo! Use The 2013 Ford Escape Tuning Playlist To Test Your Own Car Stereo! Ford spends a lot of time tuning the sound systems in their new vehicles to make sure everything sounds just right. Now, they've released the playlist used to tune the sound in the upcoming 2013 Ford Escape so we can use it to test our own stereo systems. You can get all the details in the USA Today story below. Among the tracks and their uses, says Ford: The "buzz" in Stevie Ray Vaughn's cover of the Jimi Hendrix Little Wing is from a single-coil pickup amplified by tubes and the track was used to check tonal balance, bass quality and "make sure there is a wide sound stage." PJ Harvey's Electric Light was used to make sure the instruments don't muddy the vocals and the bass doesn't shake the doors. And the lip smack in Suzanne Vega's a cappella Tom's Diner tested the "center staging." 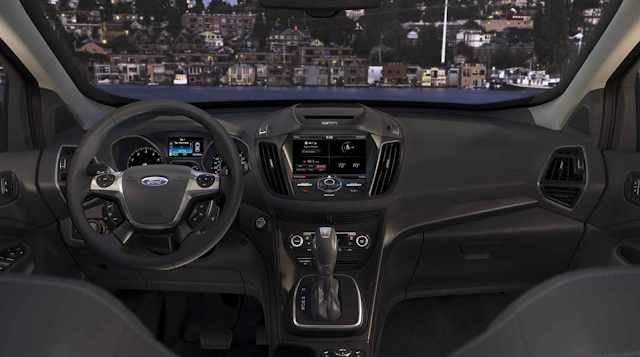 According to Christine Templin, one of the engineers on the Escape, the goal is sound that is as natural as possible -- "as if you're listening to music inside a theater." Tuning a system is both science and art. Engineers wire computers to the speakers and check sound wave files. But they also just listen. Templin says, for example, that she looks for specific feeling from listening to Jennifer Warnes' doing Leonard Cohen's Famous Blue Raincoat: "You should feel like you have been transported to a gloomy environment." Ford will offers three audio systems on the Escape when it goes on sale this spring: a base six-speaker system, a nine-speaker upgrade and a branded Sony 10-speaker setup. 1. ZZ Top La Grange: Listen for the clean snare drum clicks, left and right rhythm guitars and strong bass guitar. 2. Yello The Race: Listen for a sensation of the car racing from right to left, and left to right. "It should sound spacious with transients of doors slamming," Templin says. 3. Lou Reed Walk on the Wild Side: Listen for backup singers to move from far to near, testing image depth. Check for tonal balance and loud dynamics (a Drive On favorite). 4. Kenny Chesney Summertime: Listen for clean vocals, instruments should be clearly defined. 5. Eminem Remember Me: Listen for loud dynamics, bass extension. 6. Rihanna S.O.S. : Listen for tonal balance, clean bass, nothing shrill in the tweeters. 7. Beyonce featuring Jay Z Déjà Vu: Listen for bass to be clean and even. Vocals should not break up or sound overly bright. 8. Peter, Paul and Mary I Have a Song to Sing O: This is an old recording with vocals panned left-center-right in order to test staging and imaging. Voices should retain a natural timbre. 9. Johnny Cash Bird on a Wire: This intimate recording (as if Cash were in his living room) tests tonal balance and spatial qualities. Vocals show a close-mike effect.